Home Architecture The First Taco Bell Will Be Saved from Demolition! 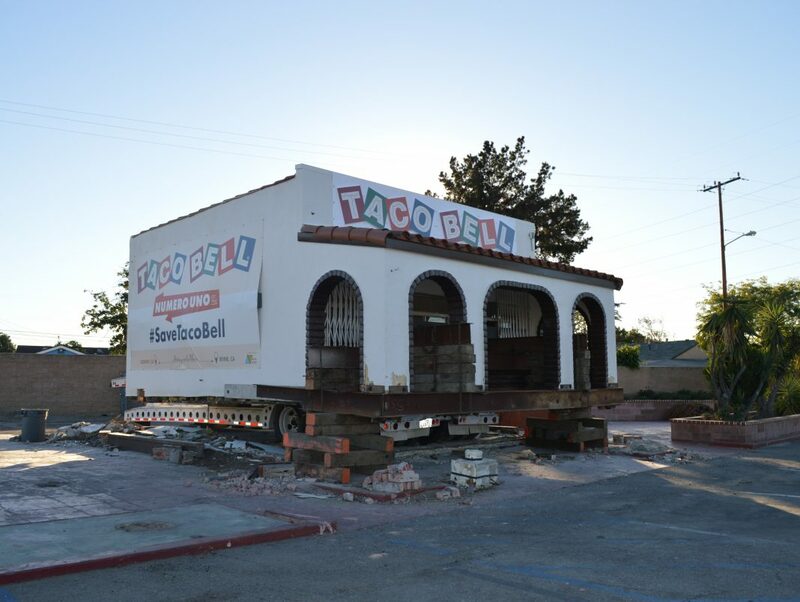 When executives at Taco Bell found out that the Downey building that housed their first restaurant was at risk of being demolished, they ordered the store “to go.” The birthplace of the Mexican fast food chain, located on Firestone Boulevard, is up on rails and ready to roll. Founder Glen Bell built the mission style building in 1962 and on Thursday night at 10:30, store “Numero Uno” will begin the 45-mile ride to company headquarters in Irvine. Taco Bell’s future plans for the structure remain under wraps. Southern California was the birthplace of the fast food industry and Glen Bell’s menu made Mexican food popular across the country. The McDonald brothers opened their first stand in San Bernardino in 1948, and their techniques inspired Bell to open a burger stand of his own. He switched his menu to tacos in 1954 when he opened Taco Tia in nearby Rialto. Burger King, In-N-Out Burger, Del Taco, Carl’s Jr., Wienerschnitzel, Fatburger, and Jack in the Box, all have roots here, too. The world’s oldest McDonald’s, which is located in Downey, was restored in 1996.